For today’s Friday break, a video by Petros Vrellis that demonstrates an interactive iPad application of Vincent Van Gogh’s “Starry Night”. Is this a glimpse of a future where visitors can explore collections in new ways? This entry was posted in Collections, Historical interpretation, Objects and tagged Video on April 12, 2013 by Max van Balgooy. Long known as the authoritative resource for salvaging artifacts after a disaster, the Emergency Response and Salvage (ERS) Wheel has been used by historic sites, museums, libraries, and archives around the world. In partnership with the National Center for Preservation Technology and Training, Heritage Preservation has turned the Wheel into a mobile application, providing invaluable guidance accessible to anyone who is in need of practical advice for saving collections in the first 48 hours after disaster strikes. ERS app provides the same reliable content found in the original Wheel. The app outlines critical stages of disaster response and provides practical salvage tips for nine types of collections, from photographs to natural history specimens. ERS can help users protect precious collections and significant records, access reliable information instantly, and save damaged objects. This entry was posted in Collections, Historic preservation, Objects, Resources, Technology and tagged Emergency Response and Salvage Wheel, Heritage Preservation, National Center for Preservation Technology and Training on April 9, 2013 by Max van Balgooy. This short feature by BET includes an interview with director Lonnie Bunch, highlights of artifacts, and a computer-generated fly-through of the new Smithsonian Museum of African American History and Culture. In honor of African American history month, I’ll be sharing other related videos on Fridays. This entry was posted in Cultural diversity, Historical interpretation, Leaders in the field, Museum, Objects and tagged Smithsonian Museum of African American History and Culture, Video on February 1, 2013 by Max van Balgooy. 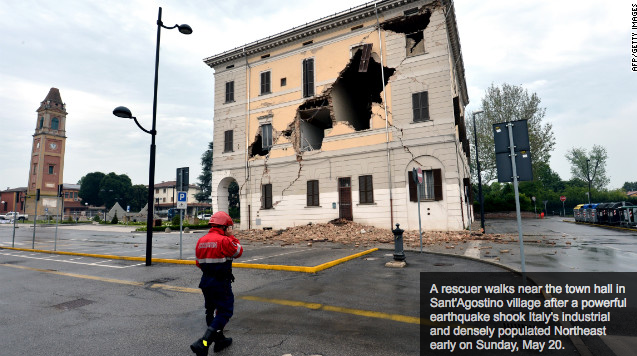 The Town Hall in Sant’Agostino, Italy, damaged by Sunday’s earthquake. 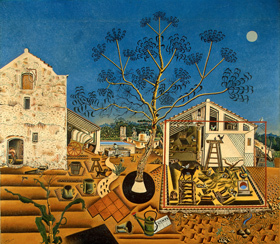 This entry was posted in Collections, Historic preservation, Objects on May 21, 2012 by Max van Balgooy.